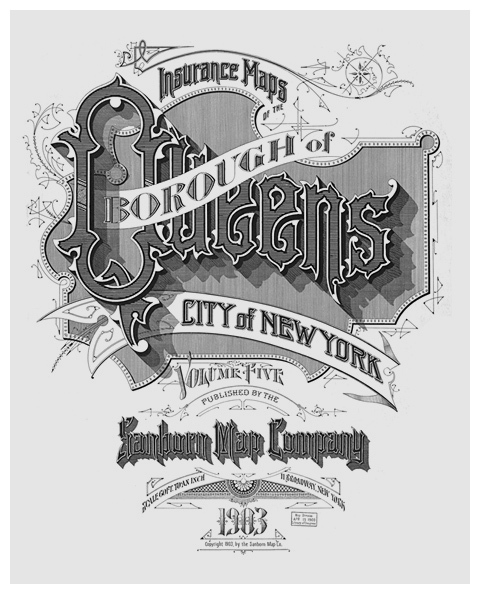 Variations of this design appeared between 1886 and 1988. 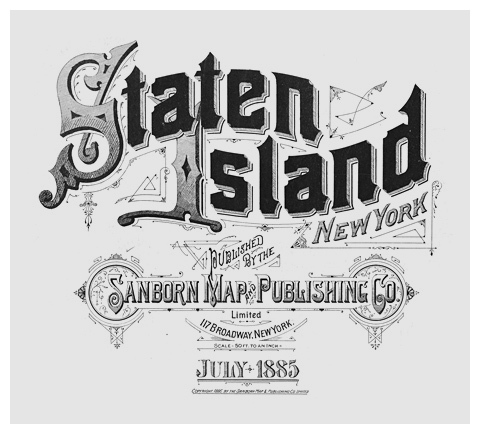 At least two editions with slightly different designs and typography appeared in 1893 and 1895. 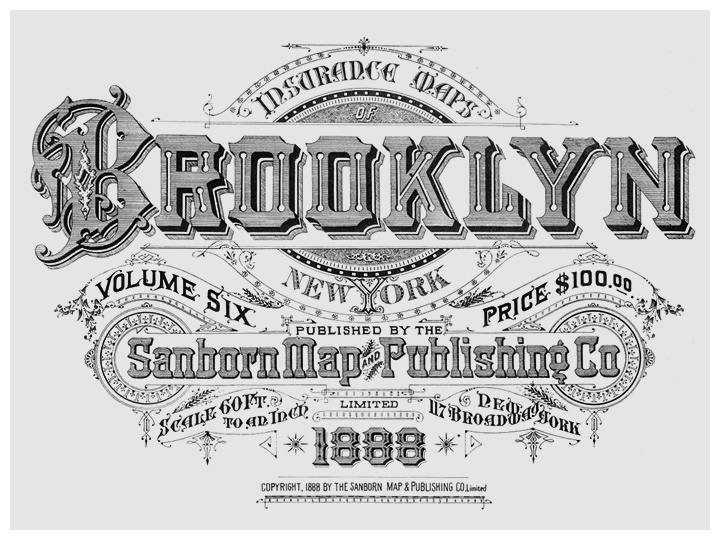 Variations of this design appeared between 1894 and 1902. 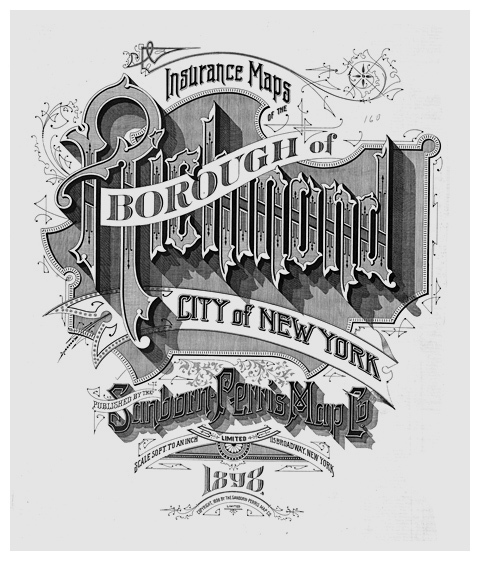 At least three editions with slightly different designs and typography appeared between 1901 and 1903. 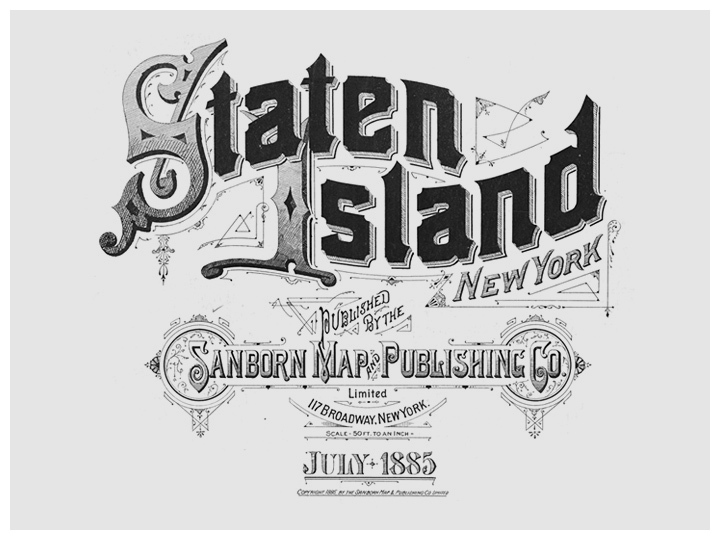 The same design was used for the maps of The Bronx. Two slightly different designs appeared between 1911 and 1915. 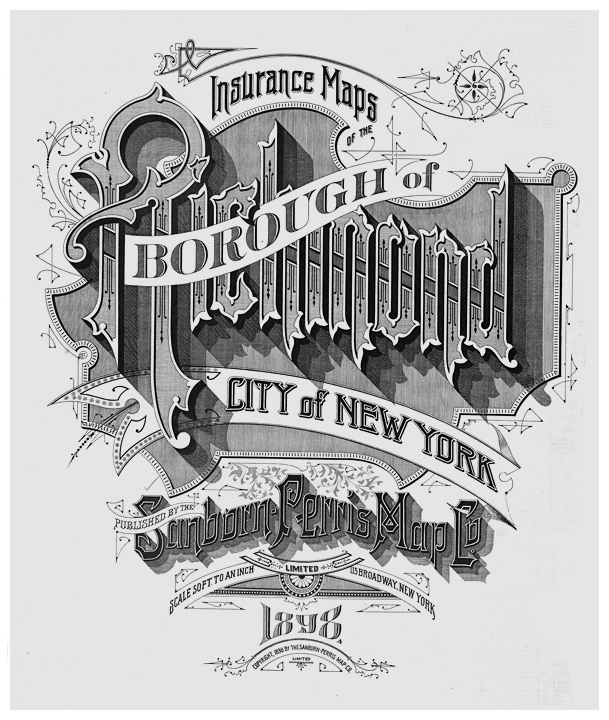 This article is the first part of a series of articles about Sanborn Fire Insurance maps. 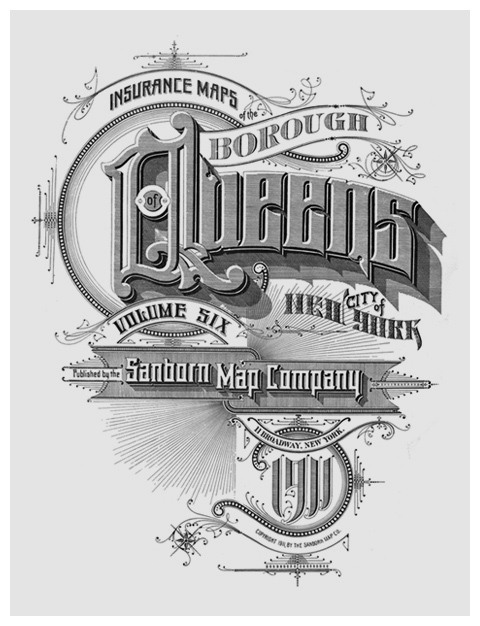 You’ll find the second one here: Sanborn map company logo and lettering. 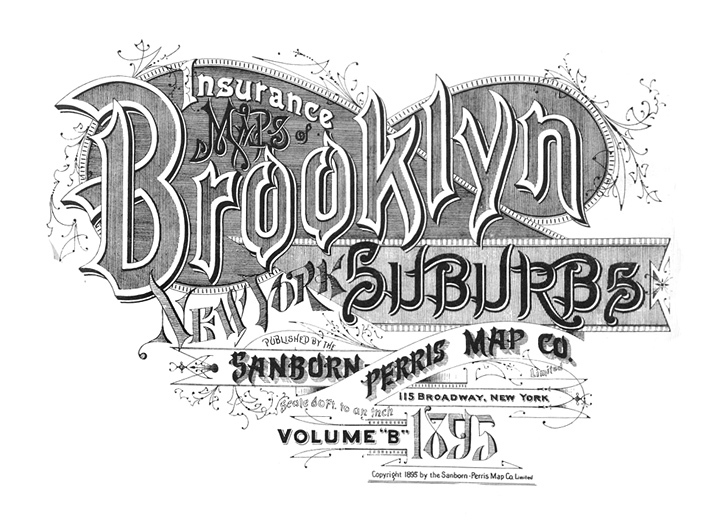 In february BibliOdyssey posted an article about Sanborn fire insurance typography. 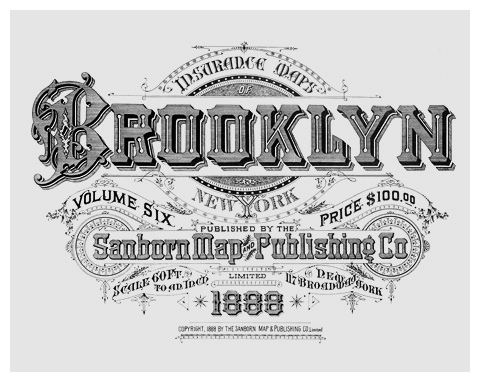 A fantastic collection of rich typography from the late 1800s and early 1900s. Their selection seemed quite random though. Finding more images wasn’t easy. I found most of them in the most search engine unfriendly places of the internet: libraries and universities. 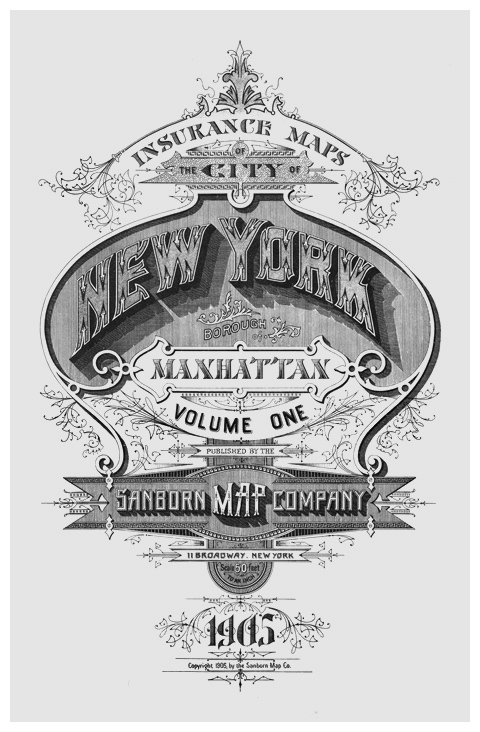 The New York public Library has an online collection of Atlases of New York city, including a section containing Insurance maps of New York. 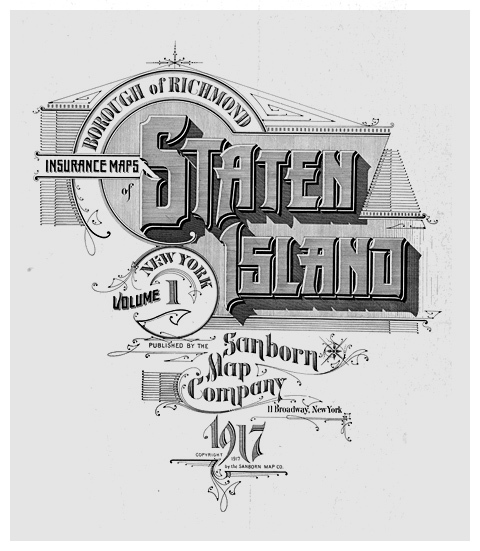 4,961 images from maps of the five boroughs of New York City: Bronx, Brooklyn, Manhattan, Queens and Staten Island. 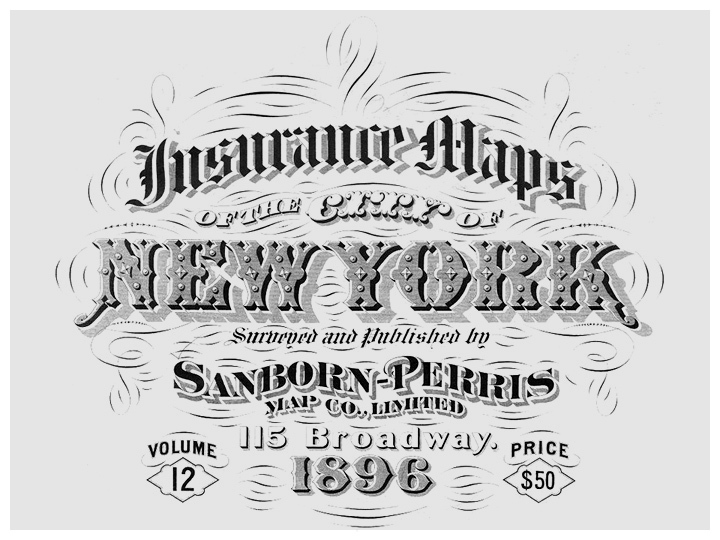 The images displayed above are all the title pages from the Insurance maps of New York I could find. Fascinating to see how complex the designs are, considering they were all made without a computer. 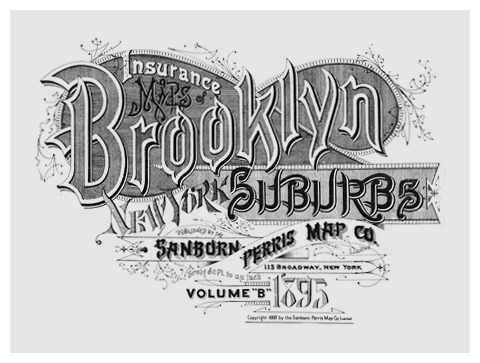 I’m not an expert, but I think most of the lettering is unique; no existing typefaces were used. Which makes it even more impressive. In spite of all the attention to type and the unprecedented conditions for type designers, the vast majority of new fonts desperately lack originality. Just as in the music industry, where cover versions and remixes are often more popular than new music, font designers seemingly prefer to exploit successful models from the past rather than strive for new solutions. If you look closely at the images above you’ll find all kinds of letterforms that are rarely (or never) seen in today’s design. They’re quite original too. Maybe it’s time for old fonts? 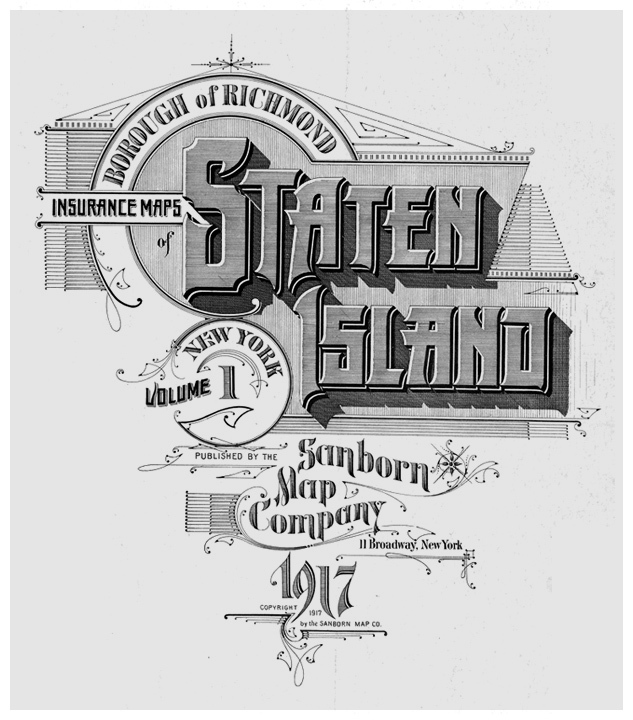 Sanborn Map Company typography and lettering + Sanborn Map Company details. 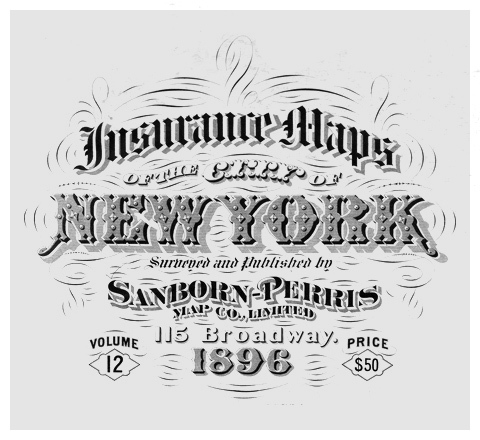 Sanborn Map Company began creating fire insurance maps in 1867. They were created to assist insurance agencies in assessing the fire risk of properties. Detailed maps, showing building use, sidewalk and street widths, layout and names, property boundaries, distance between buildings, house and block numbers, location of water mains, hydrants, piping, wells, cisterns, and fuel storage tanks. Maps were often updated by pasting new drawings directly over the original ones. I’ll update this list as soon as I find more websites with high quality scans. Most websites are from libraries and universities. 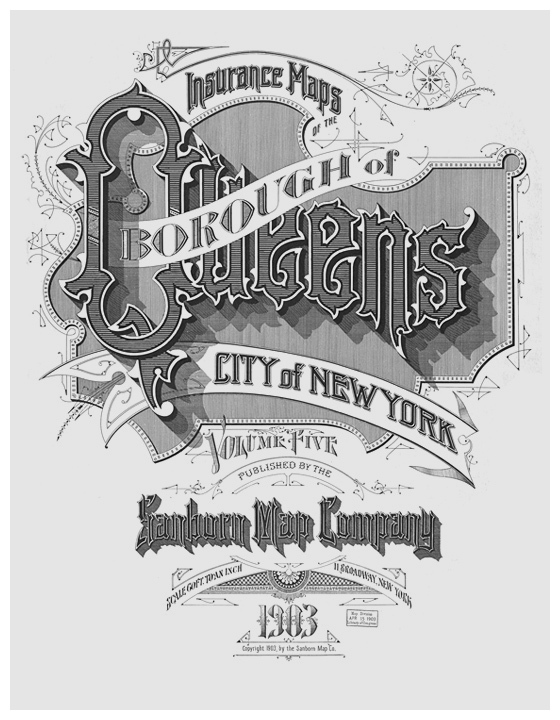 You may already be aware of them, but there is one foundry called Letterhead Fonts producing some fonts that are in some cases similar to those seen here. Those maps are gorgeous! They even match the decor of your website. I like the monochrome style too. It fits.